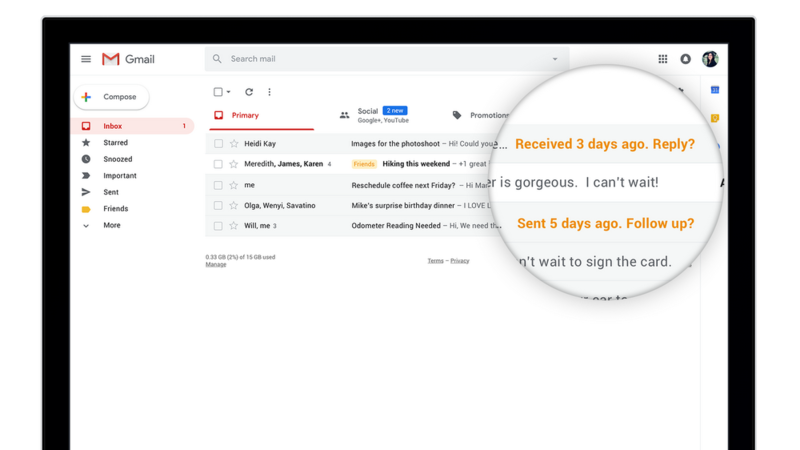 Google is rolling out new features for Gmail, introducing several new features designed to increase productivity. For the most part, these improvements are designed around quality of life for people who use email to communicate; including offering an option for extra confidentiality. A redesigned interface makes it easier to interact with the emails, having moved the options bar next to each individual message thread. Saving the time needed to move back and forth between the toolbar at the top. Also new to the toolbar is the ‘Snooze’ button, which allows people to put off looking at an email until later. Something that may end up being surprisingly useful. On the other hand, Gmail will also provide reminders to respond to emails that have been ignored for too long. Self destructing emails make an appearance with the new Confidentiality Mode. This allows the sender to set an amount of time for the recipient to read the message before it gets deleted forever. If that isn’t enough, the sender can also opt to disable the option to forward, copy, download, or print emails as well. The new features will be rolling out for users over the next few weeks.